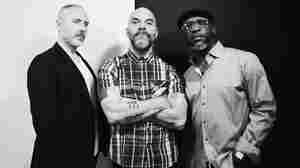 January 11, 2018  Each album by The Bad Plus can be understood as a planted flag, a marker of group identity. Hear the jazz trio's first record with new pianist Orrin Evans. March 9, 2017  A conversation between two leading jazz musicians led to a public debate over misogyny in the form on International Women's Day. August 18, 2016  The leaderless piano trio became famous for its cover songs more than a dozen years ago. Now, an all-covers record finds an established and quirky band once again testing its powers of interpretation. September 7, 2010  On this edition of All Songs Considered, we've got select highlights from the First Listen Series, plus a look back at the recent All Tomorrow's Parties music festival. January 5, 2009  We start the new year with a new mix, featuring Andrew Bird, Benjy Ferree, Chopteeth, Esau Mwamwaya, Begushkin, and Bad Plus. August 17, 2006  It's been a busy year for live music on All Songs Considered. On this edition of All Songs Considered we look back at some of the highlights from our year in live music. 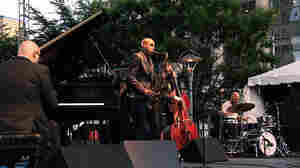 April 3, 2007  It's hard to decide what to make of The Bad Plus, whose sound has no pretense of operating at either extreme of jazz and rock, but instead plays with the colors in between. 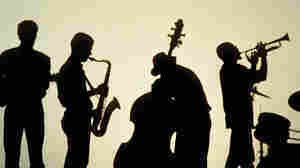 August 8, 2009  They had always engaged popular music masterworks as vessels for jazz improvisation. 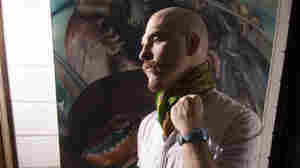 But the addition of an alt-rock vocalist recasts the trio as an singular sort of cover band. December 31, 2009  It's no use pretending that a crucial part of The Bad Plus' wide appeal isn't its re-imaginings of pop hits. 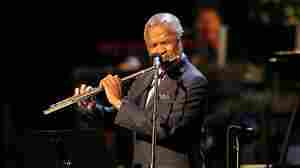 But as it ushers in a new decade, the trio focuses mostly on new, original compositions. August 8, 2012  A long-running piano trio sui generis meets one of its heroes, a guitarist down for anything involving good musicians. 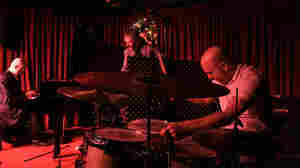 Here, the group pays tribute to the late drummer and composer Paul Motian. 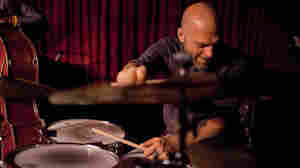 September 10, 2013  Before he was the drummer for The Bad Plus, King developed a strong work ethic — or maybe not — doing various forms of menial labor in the Midwest. He speaks on telemarketing, Orange Julius, and how it applies (or doesn't) to his own bands. 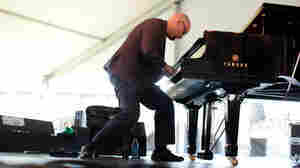 December 23, 2010  The power piano trio was born in the Minneapolis-St. Paul area 10 years ago, and since then, it's become one of the biggest acts in jazz. 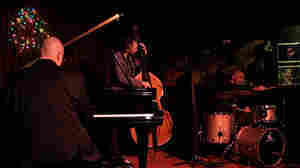 As we count down to 2011, here's how the power piano trio rang in 2010 at the Village Vanguard in New York. February 13, 2009  Jazz critic Kevin Whitehead reviews For All I Care, the new album from The Bad Plus joined by Wendy Lewis. 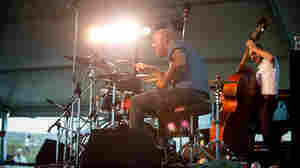 February 12, 2009  The Fifth Annual Portland Jazz Festival celebrated "The Shape of Jazz to Come" with jazzart-rock trio The Bad Plus and the Spanish Harlem Orchestra, both playing to full houses at the historic, slightly psychedelic McMenamin's Crystal Ballroom in Portland, OR.